Since 1981 the Animal Clinic of Billings has made heartworm prevention for dogs an important part of our approach to preventive care. A heartworm infection can lead to numerous health problems up to and including early death. Therefore, heartworm prevention cannot be ignored. Our team of veterinarians and vet technicians are here to educate you and protect your dog from this terrible disease. 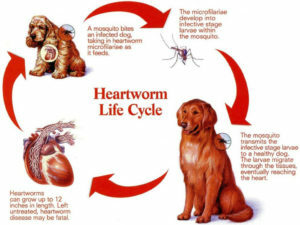 Heartworm is spread through dogs via bites from infected mosquitoes. Living in Montana, the presence of mosquitoes throughout the spring, summer and early fall months means greater chances for your dog to contract heartworms. Once a heartworm infestation occurs, it will become life threatening. Therefore, our goal is to implement a preventive program before your dog is exposed. Upwards of 30 species of mosquitoes can act as heartworm transmitters. Mosquitoes ingest immature heartworm larvae, called microfilariae, by feeding on either an infected cat or dog. The microfilariae develop further for 10 to 30 days in the mosquito’s gut and then enter parts of the mosquito’s mouth. When an infected mosquito bites a dog, it injects larvae into the dog. The larvae then mature over a period of several months, eventually ending up in the right side of the heart and the pulmonary arteries. Once this occurs, they mature into adult heartworms in dogs, and can reproduce about six months from the time of invasion. 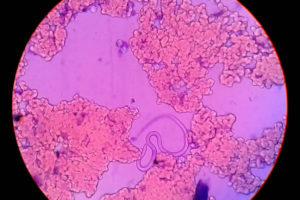 At approximately eight months after the invasion, heartworm in dogs begin to produce a new crop of microfilariae that will live in the dog’s blood for about one month. 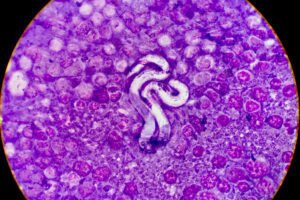 By the time this occurs, most dogs are showing significant heartworm symptoms, and their lives are in danger. Stage 1: In dogs, the first stage of heartworm will typically be symptom free. 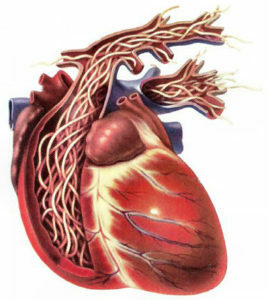 In this stage, the heartworms are present and settling into the heart. However, in stage one the disease has not yet progressed to the point where the heartworms will have produced a new generation of microfilariae and dog’s body will not yet have produced antigens in an amount sufficient for detection. Stage 3: By stage three of heartworms in dogs, the symptoms of the disease will be very noticeable and have a big impact on your dog’s health. Dogs continue to cough and experience fatigue after exercise, may be reluctant to exercise at all, and can have trouble breathing. During this stage, dogs may also cough up blood. By stage three, the disease is quite evident on x-rays. The worms in the heart and large vessels will be obvious on x rays. Stage 4: Dogs in stage four of heartworm disease have very visible heartworm disease symptoms. These symptoms are accompanied by long-term implications for the dog’s health. These dogs are very ill. The symptoms are similar to Stage 3 but more severe. Dogs will be reluctant to exercise, tired after exercising, and will exhibit a cough. They will probably experience trouble breathing as well. Testing may reveal the impact of the disease in the form of abnormal sounds within the dog’s heart and lungs and an enlarged liver. Even with treatment, this stage of the disease carries a high risk of long term debilitation and possible death. As heartworm disease progresses through each stage, treatment methods become increasingly invasive. 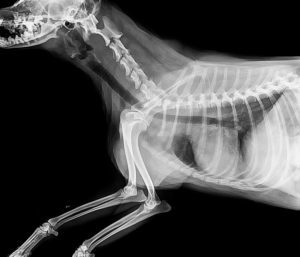 This is a big reason why early detection plays a major role in the options and ability for your dog to recover. Remain aware of any changes in your dog’s behavior. It is important to understand that the symptoms listed above are indicative of advanced stage heartworm disease. Unlike medications that are used to prevent heartworm in dogs, the medications that are used to kill an advanced stage heartworm infection carry a higher rate of potential side effects, can be painful for the dog and are costly to the owner. In addition, the treatment will require considerable downtime for your dog’s normal exercise routine while the dog recovers from the infection. Keep an eye out for any changes in behavior that align with the symptoms of heartworm and if you do find that your dog is displaying symptoms that could be indicative of heartworm, it is important you call us right away to schedule an appointment with on of our veterinarians. Heartworm prevention is given in the form of a monthly chewable. The chewables are readily accepted by most dogs as a treat. It is very important that the chewable be given once a month on the same day of the month to make sure that your dog is adequately protected. Side effects of the chewable medication are rare. However, as with any medication, please call if you notice any changes in your dog’s health or behavior. Heartworm is an easily preventable disease. 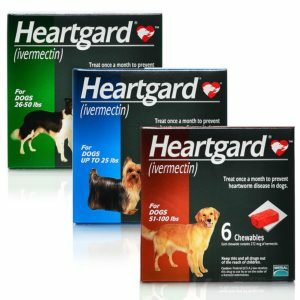 If your dog is not currently using a veterinarian recommended heartworm prevention medication, please schedule an appointment with us right away. There is no reason for your dog to be exposed to heartworm disease, when prevention is so simple.